Probashbangla24 online Desk : Embroiled in another massive data breach, Facebook may face $1.63 billion in fine from the European Union (EU) privacy watchdog, the media reported. According to a report in The Wall Street Journal on Sunday, Ireland’s Data Protection Commission which is Facebook’s lead privacy regulator in Europe, has asked Facebook to submit more details in the incident where data of over 50 million users were hacked via “Access Tokens” or digital keys. 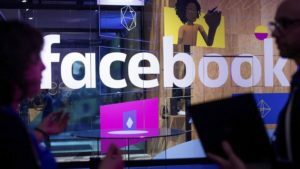 The “privacy watchdog could fine Facebook as much as $1.63 billion for the data breach”, the report added. “We are concerned at the fact that this breach was discovered on Tuesday (last week) and affects many millions of user accounts but Facebook is unable to clarify the nature of the breach and the risk for users at this point,” the regulator was quoted as saying. A Facebook spokeswoman said the social media giant will respond to questions from the EU watchdog. In the biggest-ever security breach after Cambridge Analytica scandal, Facebook on Friday admitted hackers broke into nearly 50 million users’ accounts by stealing their “access tokens” or digital keys. Senator Mark R. Warner has also called for a full probe into the incident. Vice Chairman of the Senate Select Committee on Intelligence and co-chair of the Senate Cybersecurity Caucus, Warner said it was high time the Congress stepped up and took action to protect privacy and security of social media users. Facebook also said it was taking precautionary step to reset access tokens for another 40 million accounts that have been subject to a “View As” look-up in the 2017. As a result, around 90 million people will now have to log back into Facebook, or any of their apps that use Facebook login. Zuckerberg and Facebook COO Sheryl Sandberg have already faced hearings at US Congress over Cambridge Analytica data breach that affected 87 million users.